What others pain to hide we boldly put it on display. From the earthy to the polished, it is the growing trend of industrial interior style that inspired us. It is about selecting pieces that are as much about function as style, it is about a look that seems unfinished, yet cohesive and chic. This project respected both form and function that are equally important considerations. While our design ideas tend to be minimalist, there is a lot of room for creating beneficial spaces for each member of the family serving his/her needs, varying between private zones to shared and gathering ones. This home is designed to create the present and inspire the future, to unify the family from the old grandma to the two years old baby. 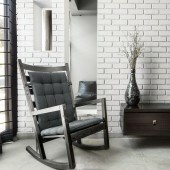 Since many family members will be living together so we created spaces for interaction as well as other private spaces. The grandmother bedroom is separated in a different level from kids bedrooms so she can have her own quality time when she needs. As for the kids boys have their room and the girl has hers but they do have a common living room in between their rooms and the master bedroom for family time. We created a guest bedroom so any extra member can be welcomed anytime. The project is a Residential Duplex of area 320 sq. meters in The Waterway Compound, a thoughtfully designed mixed-use development; centrally located on the horizon of New Cairo, Egypt. The project began in early 2016 and was completed at the end of December 2016. 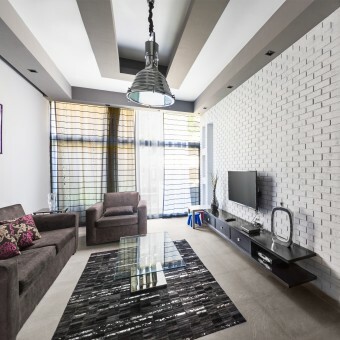 A questionnaire is held with all family members to get introduced to their preferences and needs, As for our client we used durable yet stylish materials as porcelain for flooring, brick wall and rough texture paint with light grey color. Our project is a residential duplex of 320 square meters, consisting of 4 bedrooms, reception, dining, kitchen, kitchenette and four bathrooms. Every family has a story to tell, Our family will be moving together so our objective was to achieve their needs yet create aesthetic and functional design. 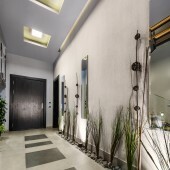 We collected our data through client questionnaire held by designer, site assessment by site engineer, then we started our design process starting from concept, theme, colors and materials reaching to computer generated images and videos for different spaces. Decorating a bachelor home is easy because the only one who matters is you. But when you have a big family to think about as well, coming up with a design that makes everyone happy becomes a real challenge, and so it was for our Team. Main Image #1: Photographer Mohamed Abd El Hady, 2016. Optional Image #1: Photographer Mohamed Abd El Hady, 2016. Optional Image #2: Photographer Mohamed Abd El Hady, 2016. Optional Image #3: Photographer Mohamed Abd El Hady, 2016. Optional Image #4: Photographer Mohamed Abd El Hady, 2016. 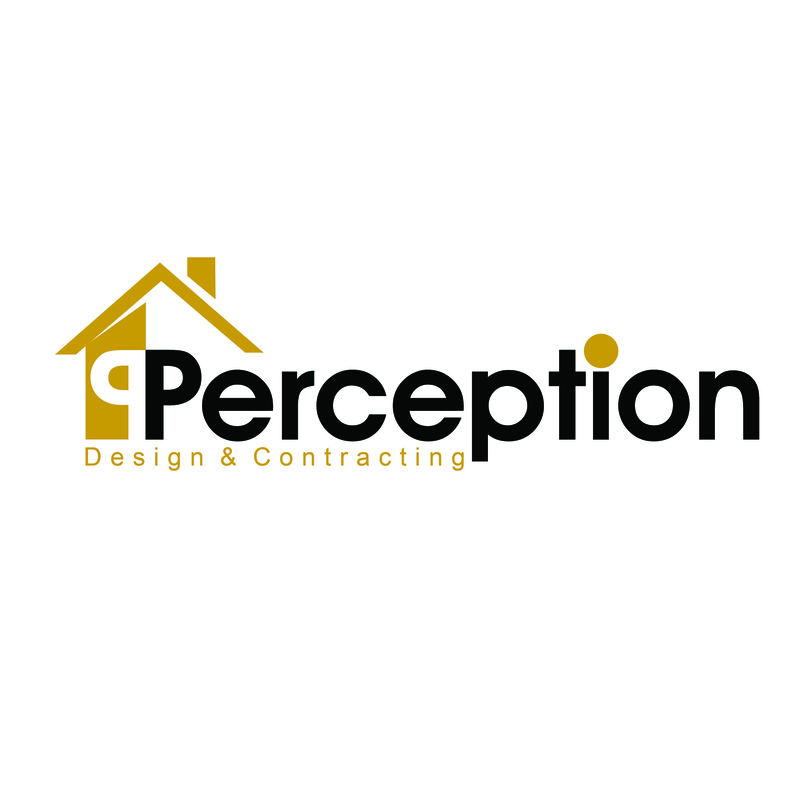 Perception is an Egypt based design firm specializing in interiors, custom furnishings, and contracting. We define the customer’s perspective through the appropriate form and style of the design and implementation through a professional team to carry out the best work. The company deals with projects as an integrated work of art which should come out at the highest level of quality & performance. Misty Home Residential Duplex by Eman El Garhy is a Nominee in Interior Space and Exhibition Design Category. · Click here to register today inorder to be able to view the profile and other works by Eman El Garhy when results are announced. Misty Home Residential Duplex by Eman El Garhy is Winner in Interior Space and Exhibition Design Category, 2016 - 2017. · Press Members: Login or Register to request an exclusive interview with Eman El Garhy. · Click here to register inorder to view the profile and other works by Eman El Garhy. Did you like Eman El Garhy's Interior Design? 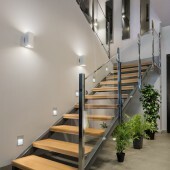 Did you like Misty Home Residential Duplex? Help us create a global awareness for good interior design worldwide. Show your support for Eman El Garhy, the creator of great interior design by gifting them a nomination ticket so that we could promote more of their great interior designs.